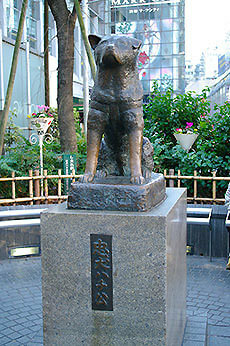 In the paved square outside the south-west exit of the Shibuya Station is a small bronze statue of an Akita dog called Hachikō. The surrounding Hachikō Square is the most popular meeting point in the Shibuya area, and is always crowded with teens. One of the best-known stories concerning Shibuya is the story of Hachikō, a dog who waited on his late master at Shibuya Station every day from 1923 to 1935. His owner died in 1925, but the dog continued to show up and wait until his own death 10 years later. 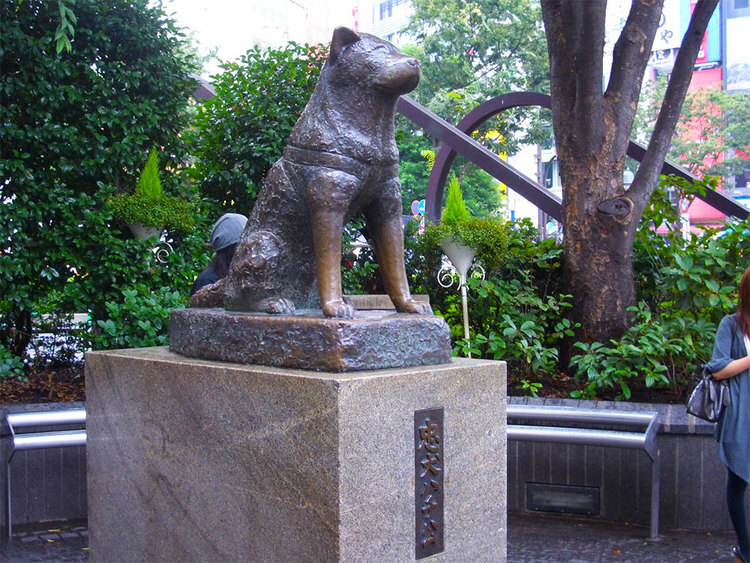 The dog eventually became a national celebrity for his loyalty, and a statue of Hachikō was built adjacent to the Station.